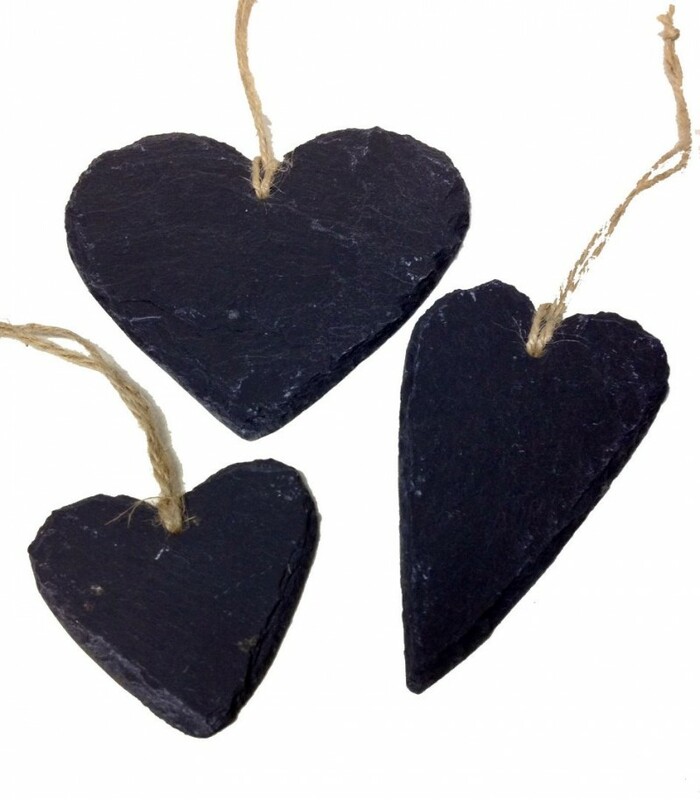 Our stylish slate hearts are handcrafted from Cornish, and natural slate. 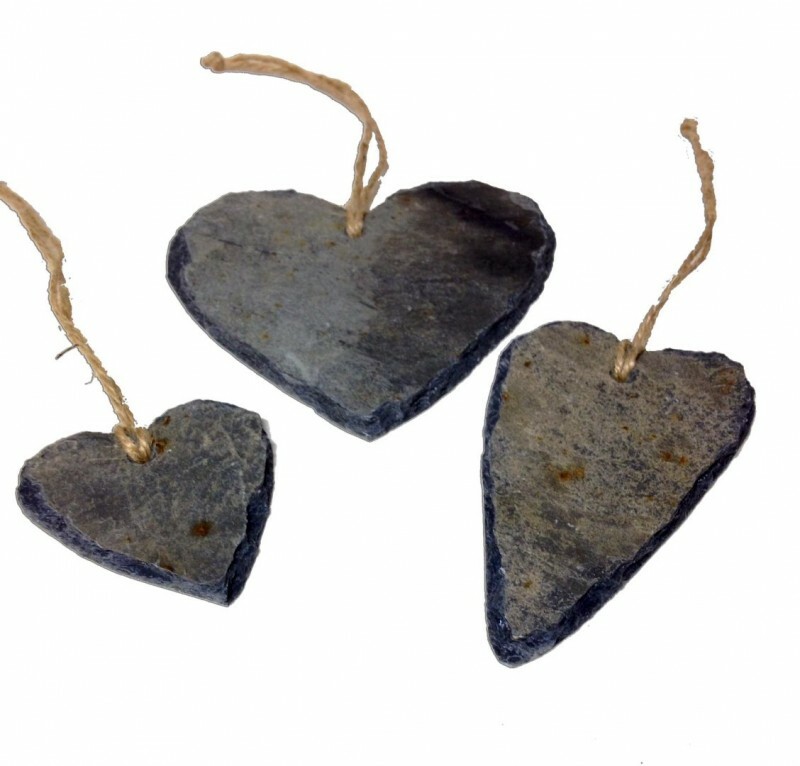 All hearts are ready to hang on jute string. 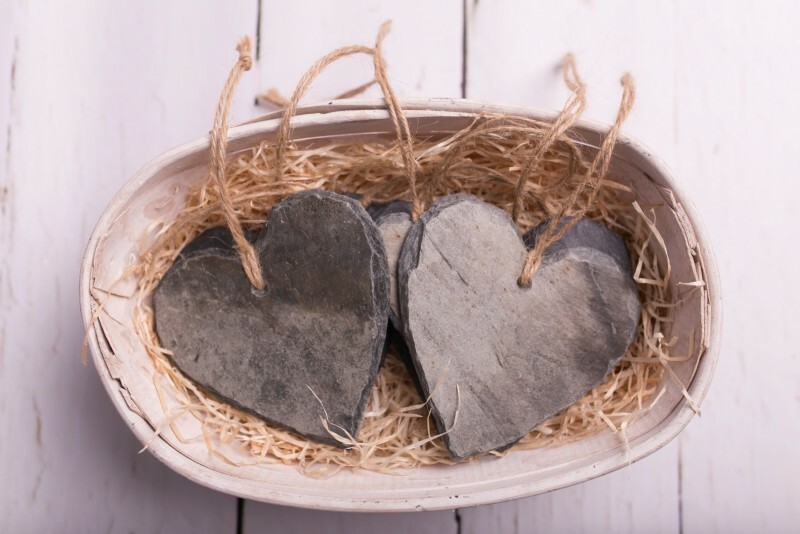 Slate Hearts are a lovely gift for that someone special and can also be used as a wedding favour. Each heart includes a light blue organza bag.